I feel much better, the cold is gone and my mood is high - yippie!!! 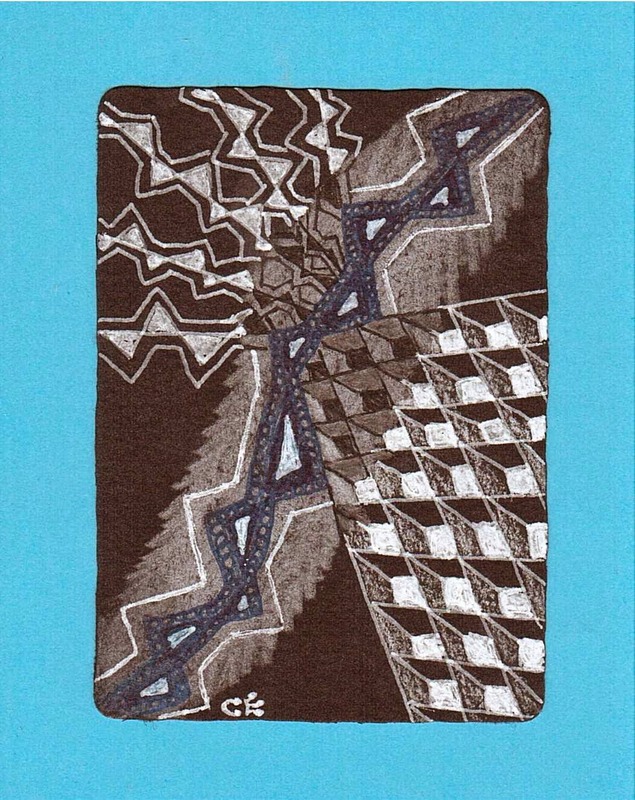 The Diva's Weekly Challenge was to use the Pattern Rain, so I did a quick ATC. Perhaps I have later this week time for a bigger tile. Last week I made this thank-you-card for a friend, who invited us (the regional team for the yearly Womens World Day of Prayer) to a Moroccan dinner and to show her photographs of her desert-trip last autumn. It was a very nice evening, the meal was very tasty and the pictures of the desert were gorgeous and my wanderlust was rising. Then I decided that this ZIA is finished. I experimented with some metallic markers and wasn't sure if I should colour the background. But finally I took the decision to let it be as it is. I wish you a lot of sun this week and happy tangling. Your Rain tile is so very beautiful and so are the others. Love your ATC rain tile, so much texture and dimension. 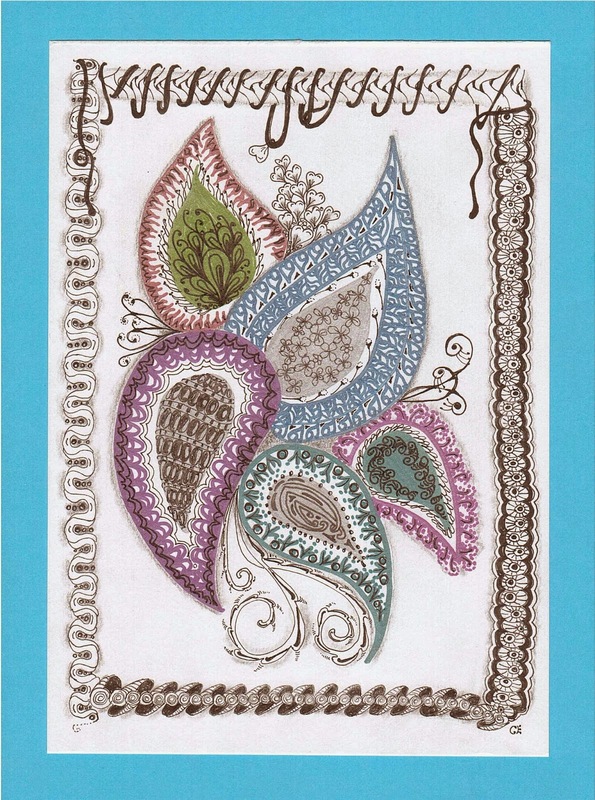 Your cards are wonderful, who wouldn't cherish such a wonderful gift/card. Playful and beautiful! Very impressive! Love them all! You was very bissy tangling. Al of them are Nice. You made Nice variations of rain. Nice ATC with rain, I like the addition of the color. Your other work is great too! Beautiful ATC, card, and ZIA!! Very nice work!! Three awesome pieces. I love the card you made with just a little touch of red, wonderful! Your ATC is a nice composition. Nice work. I like your ZIAs. I really like the border and all the line work in the second. I particularly like your 2nd ZIA - lovely!! 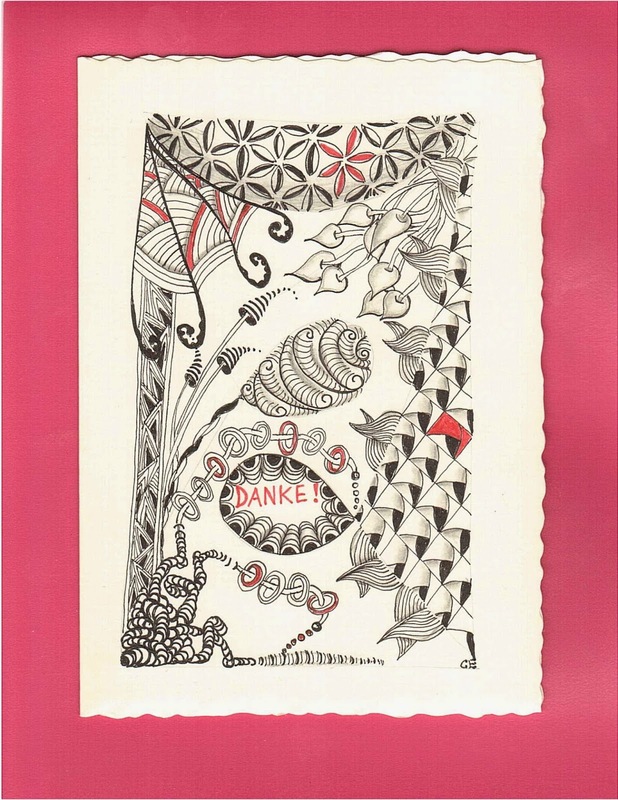 All of your work is lovely, but I particulary like your thank-you card. I love your Rain ATC. Such fun color contrast! Your other pieces are lovely as well. C'est super et plein de fantaisie ! It's great and full of fantasy!